Looking busy is vital. It is also related to my favorite word: Perception. You will have customer patience willingly bestowed upon you if you look busy and competent, so remembering to consider how your operation appears is key. Did you know that customer service scores are often higher during your peaks than in your valleys? Believe it! In my previous life, I managed 14 locations for a very large company. We measured our customer service almost obsessively, so metrics are something I can definitely speak to. Our peaks, easily 300-500% higher than our valleys, came on Mondays mornings and Friday evenings whereas our valleys were mid-afternoon and mid-week. Our customer service surveys were done by a 3rd party analyst that supplied data about the times the customer had visited along with their rating of our service. Finding out that our least satisfied customers had visited us mid-week when we had plenty of staff, product, and time was horrible. We were leaving the worst impression during the times we had the most opportunity to do things right. It turned out that without a line of people and 4 phone lines beckoning our full attention, we got up more slowly, we answered the phone with less enthusiasm, and we were less attentive to detail – our customers had clearly noticed! Operating as though you have a line of people and the phone ringing off the hook is an exercise that pays off when it comes to customer satisfaction. My attention to the gravity of these perceptions has made me hyper-sensitive to businesses that do not get it. In fact, I think the invention of the mobile deposit has saved my sanity because banks can be incredibly guilty of this! When going in to make a deposit, I would usually see something like this: 1 greeter at the door, 2 tellers managing the line, 1 person handling the drive thru window, and 2-3 others sitting or milling around behind the tellers. I realize that the greeter and employees behind the tellers could have been doing something important for the bank’s business. However, as the person who had entrusted my hard-earned money to this bank, I saw more people not helping customers than I saw helping them. Had they appeared busy or otherwise engaged, I would have felt that I was simply waiting my turn. Watching them do very little with no hustle while avoiding eye contact with the line was maddening. I don’t think I ever waited long, and I was always impressed with the friendliness and competency of the tellers. Unfortunately, I was rarely “completely satisfied” because my impression was that I was not their first priority. The organizations that figure this out first will achieve a whole new level of loyalty. 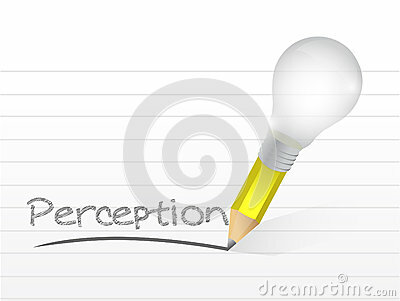 How have you overcome these kinds of perception issues? I look forward to hearing your thoughts! Having to say no on occasion is inevitable. Perhaps you are sold out. Perhaps you do not carry the product or perform the service requested. Or maybe you just cannot make it happen in the time frame requested. No matter the reason, it is bound to happen. Make sure you have a plan. Don’t enjoy it. While this may seem obvious, customer facing employees sometimes forget that they must show disappointment at losing the opportunity to serve the customer. They can sometimes come off as nonchalant or matter of fact unless they have learned this. It is still important that the customer chooses or recommends you for a future purchase, so the inability to say yes at their first request must be met with regret; and the customer must see it. One of the best interview responses I ever had was from a gentleman named Ray who had worked as a barista prior to interviewing with my company. I asked him if he had ever had a high pressure customer service situation, how he handled it, and what the outcome was. He described an un-caffeinated, grouchy, early morning line of customers waiting for coffee (guess which Customer Type they were?). They could only brew so much regular coffee at a time, yet the early morning crowd tended to be the “plain cup of Joe” folks. To add to that, each pot took about 6 ½ minutes to brew – which was like half an hour to these people. Ray was the manager of the store, and handled the situation exceptionally well. First, he apologized and sympathized. Second, he had one of his co-workers cut up a pastry and provide free samples to be nice. Third, he offered to serve the customers Americanos instead of waiting on the coffee to brew. Genius. He was able to provide a great solution for those who didn’t want to wait but wouldn’t want a fancy coffee alternative. The Americano was actually an upgrade from the regular coffee – so he was even able to squeeze some additional revenue out of the situation while providing great service. Just because you have to say no doesn’t mean that there isn’t an alternative everyone can be happy with! 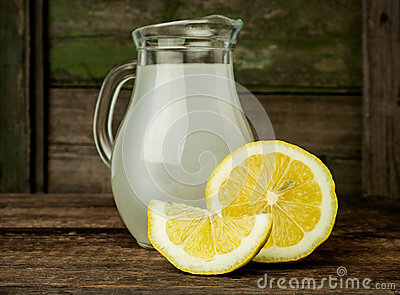 Do you have a great lemons-to-lemonade story to share? We would love to hear it! 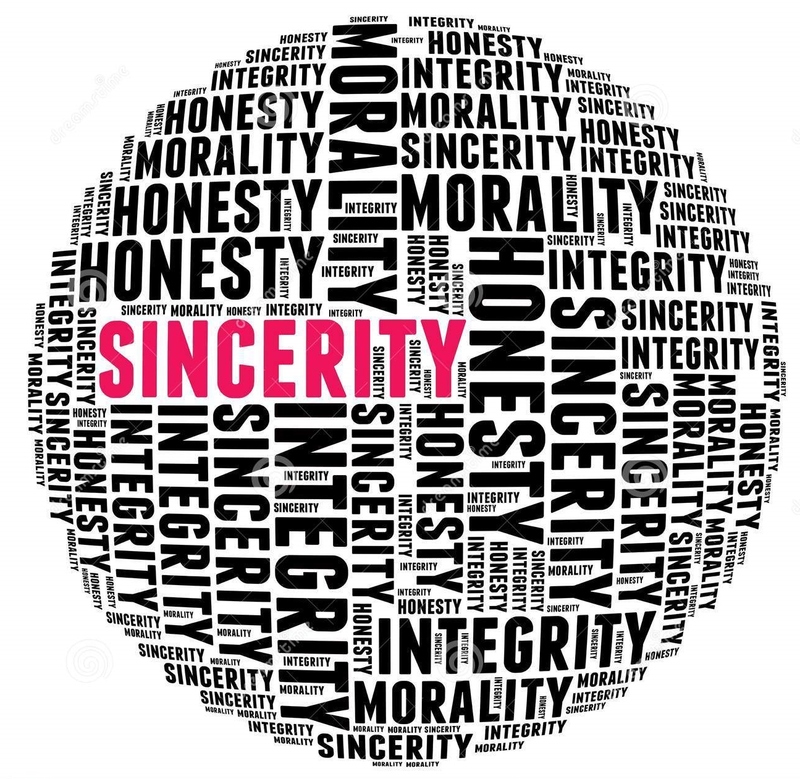 Few behaviors are as detectable to a customer as insincerity. We train our employees to handle difficult situations through steps and processes, which I happen to think is an extremely valuable practice because it creates consistency. However, it’s not enough to learn the steps; they must be delivered genuinely. I’m sure we have all received service from both ends of the spectrum. On the good side, you probably remember an extremely competent person who seemed to exude customer service like they were born with it; you probably couldn’t even detect that there was a process or method being followed. You’ve also probably experienced the zombie employee who scarcely looks up as they follow their script in a monotone. In the middle of this spectrum is where a significant percentage of your workforce probably falls. With this in mind, I want to highlight 3 unconventional intangibles that I feel should be taught and managed alongside processes to keep sincerity a priority and help your middle performers grow in competency while avoiding common pitfalls. No excuses! Excuses aren’t made maliciously; they are made innocently by naïve employees who are trying to calm a difficult situation. Unfortunately, they usually have the opposite effect. Instead, teach employees to acknowledge, accept responsibility, and use it to calm the situation. For example: “Thank you so much for your patience! I know you’ve been on hold for more than 20 minutes, so my goal is to get your order processed as quickly as possible so that we don’t take up any more of your time!” With a statement like that, the customer doesn’t even have to complain to get what they want! “Sir” and “Ma’am” are not swear words! This is an obvious one, but I hear it every single day. Once a customer shows irritation, the employee’s ego is challenged and she begins to use “Sir” or “Ma’am” to loudly and precisely begin every statement in order to let the customer know that they are being irrational. “Sir, if you would let me explain, Sir that is our policy, Sir…” Stop it before it starts! Role playing is an underused resource at your disposal. Exposure to difficult scenarios can prepare your people to control their responses in tough situations. An ounce of customer service practice is worth a pound of customer service cleanup. Do you have any pitfalls that should be added to this list? Please share! Some customers are easier than others. You probably know this, but do you have it in mind when you hire and train your customer facing employees? Congeniality is a great quality, but it’s no substitute for having legitimate service skills. It’s been my experience that there are 4 basic categories of customer moods to expect. Be proactive. Prepare your staff for what they will encounter, and then arm them with the skills to pivot their approach in order to best suit the situation. Happy. Easily pleased, this group comes to you with reasonable expectations and a positive outlook about their interaction with you. Approach: Keep it simple. Show them how easy and seamless interacting with you and your company can be. Indifferent. Your product or service is probably something this customer sees as a commodity. They are standing in front of you today and may be standing in front of your competitor tomorrow; they are not loyal because they don’t see the need. Approach: Engage! Exceeding the expectations of this customer is quite doable. Seek to differentiate and impress. Upset with something unrelated to you or your company. These customers have typically had a recent service disappointment somewhere else and are bracing themselves to be disappointed by you too. Approach: Empathize. Show this customer that improving their day is a priority for you and that you plan to make sure that everything within your control goes perfectly for them. Upset with you or your company. Perhaps your website was down or the customer waited on the phone for 20 minutes to speak with a representative. It may or may not be a direct reflection of your customer service, but it has become your task to turn the situation around. Approach: Go the extra mile. This customer needs to know that whatever failure they experienced is abnormal, that it won’t happen again, and that you are committed to fixing it. It’s natural to have your fingers crossed for customers in the happy category. Their expectations are easily satisfied and they will probably be repeat customers with little effort. However, don’t be intimidated by the tougher categories – they represent huge opportunities! Customers are used to mediocrity; they will not expect you to know how to please them and will reward your company with loyalty and praise when you do. 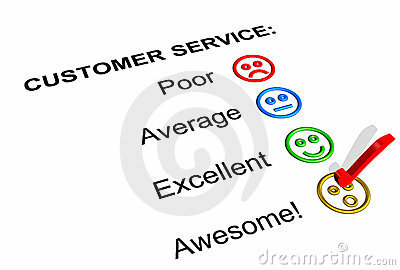 Have you ever had a mediocre or negative experienced turned around by someone’s exceptional customer service? Please share! Perceptions are developed very quickly and without your permission. They do not account for your hard work, your good intentions, or your progress. It doesn’t matter that you are short staffed, that your computer is slow, or that you’ve just had the busiest day ever. 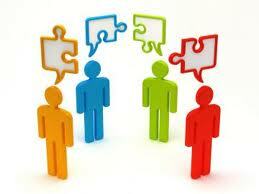 What your customer perceives about your organization is based solely on their experience. Perception is powerful. Having well-trained, empowered people in your customer facing positions, working with efficient and effective processes are key – but the truth is, they don’t have to be perfect all the time. The really great news about perception is that you can manage it around organizational weaknesses, but you have to be aware of it to manage it well. I have tough love to share; effort is not enough. Without expertise and a keen understanding and execution of your customers’ expectations, effort is a waste. It sends me into an absolute frenzy to hear employees and managers defend poor service levels because their efforts were so grand. That may very well be the case, but the efforts didn’t get the job done and they don’t have your customers asking for more, so you worked hard and not smart. I was recently in line at one of the big coffee giant’s stores on my way to work. I didn’t leave myself 20 minutes to get my plain coffee, so seeing the line when I walked in had my blood pressure on the rise. I took a quick count of the people working: 2 at the register, 2 making coffee, 1 on the drive thru lane, and 2 others and decided that they seemed to have plenty of help to make the line go quickly. I did not anticipate that their process was broken and that all the help in the world wouldn’t deliver their product or service the way either of us had envisioned. My morning coffee now comes from the amazing family owned and operated Java Bean down the street! The moral of the story? You may appreciate your customers, but if your customers don’t perceive it, then a tree just fell in the forest and didn’t make a sound. Please share an exceptional customer service story that you’ve experienced – my Positive PR Wall is looking for new additions! Exceptional customer service is more important than you think. In business we love the bottom line, so I’ll begin with a question about some pretty widely discussed and attention grabbing numbers: If acquiring new customers costs 5 times more than retaining existing customers, and retaining just 5% more of your existing customers can improve profitability from 25%-100%, why on earth aren’t we spending more time and effort on pleasing our customers? Need another reason? Today there are choices for just about everything we consume. It is a rare and typically short-lived luxury to have a product or service that is both in demand and without competition. If there is a market for your product, there is most certainly a competitor on your heels. To both outdo your competition and avoid being perceived as a commodity when your market matures, you absolutely must differentiate. There aren’t infinite ways to do this, so you must be strategic. One of my favorite mentors of all time would argue that your only options are to be faster, better, or cheaper. For the purposes of my writing, I will focus on being better. Not the engineering, manufacturing, Six Sigma kind of better – the human side of better; customer service. As customers, we are often acutely aware of service levels; our time and money are precious to us so we enjoy, even prefer, knowing that they are appreciated and considered valuable where they are spent. Yet when we trade hats, we often struggle to deliver satisfactory let alone exceptional service. As leaders and managers, we sometimes confuse true customer service management with problem solving and the application of band aids because they’re easier to get our arms around. We operate on the assumption that hiring congenial people and setting up basic routines at customer touch points will delight our customers and are left scratching our heads when they don’t. Simply put, you must learn how to exceed customer expectations in terms of your people and processes in order to deliver the results that both you and your customers want. Exceptional customer service will distinguish your brand, it will generate evangelistic loyalty from your patrons, and it will provide a marked improvement to your bottom line. Whether you are a leader, manager, front-line customer service employee, or simply fascinated by the topic – I hope you’ll stay tuned as I explore this path. Thank you for reading; I look forward to reading your comments and suggestions for future posts!